1. 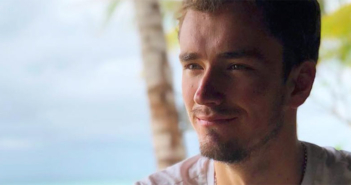 When you're sad about withdrawing from Wimbledon but then you remember all the free time you'll have to watch the World Cup! 2. She likes to move it, move it! 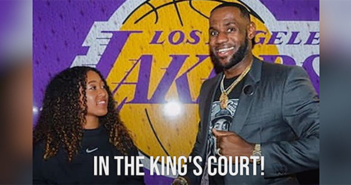 Johanna Konta is getting in formation! 3. Fine tuning! 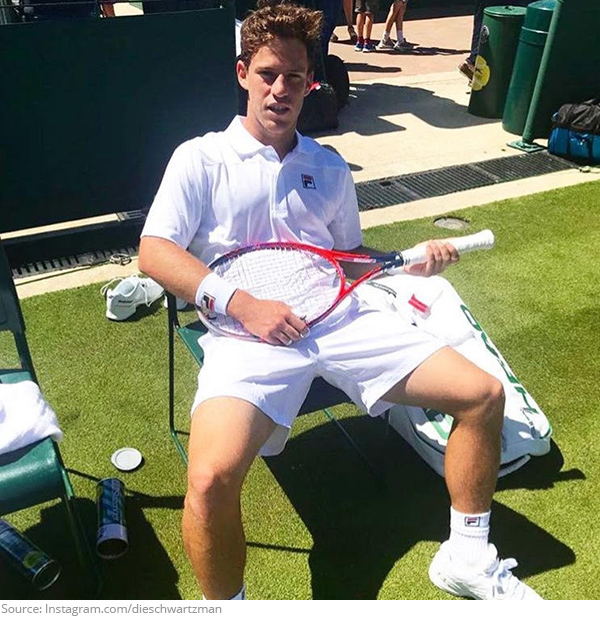 Diego Schwartzman is ready to make a racket at Wimbledon! 4. Shock and awe snap! 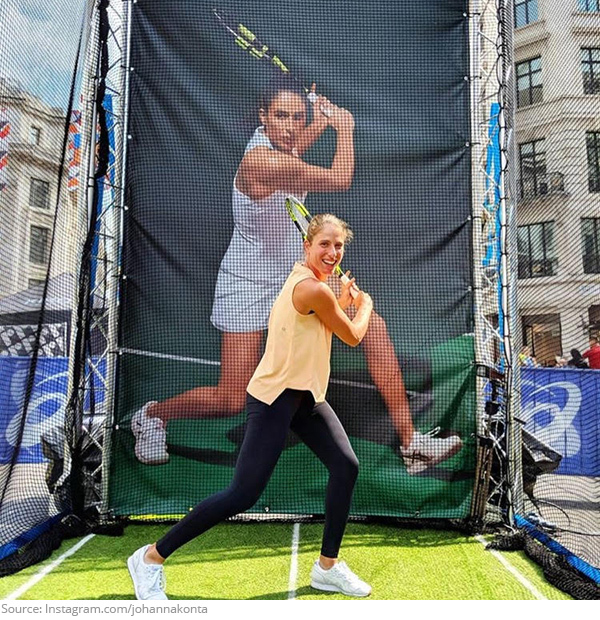 This is the face you make when you're Vitalia Diatchenko and you just beat Maria Sharapova! 5. Going the extra mile! 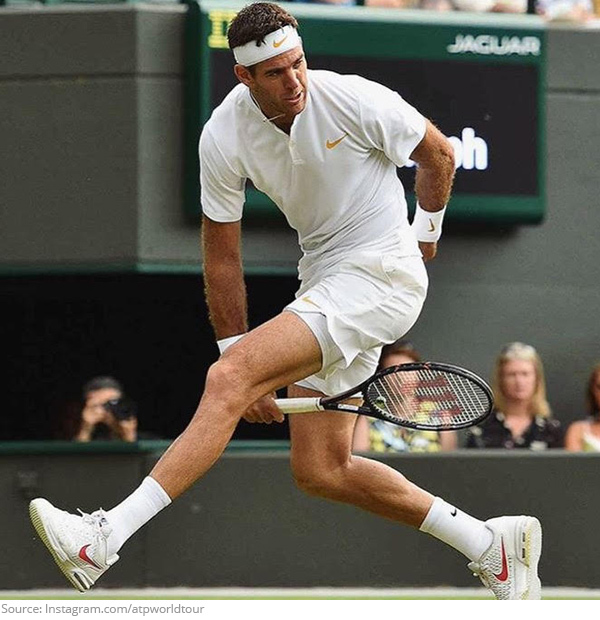 Hey delPotro, tell us how difficult it is to do a tweener! We'll keep it between us! 6. Whoever said that you should never meet your heroes were wrong! 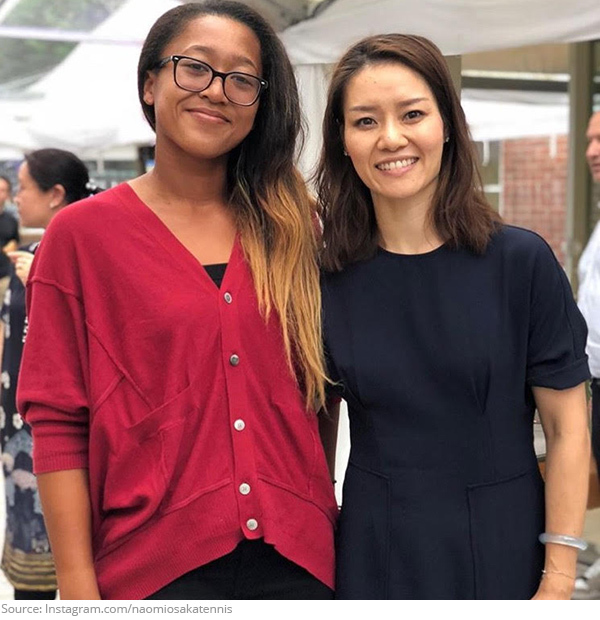 Naomi Osaka was thrilled to meet legendary tennis star Li Na! 7. Eyes on the prize! 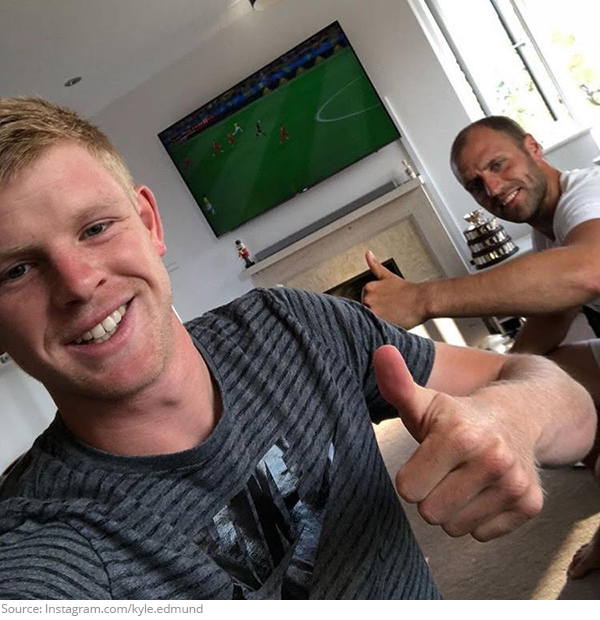 Kyle Edmund is sure the World Cup will come home to England! 8. Team spirit! 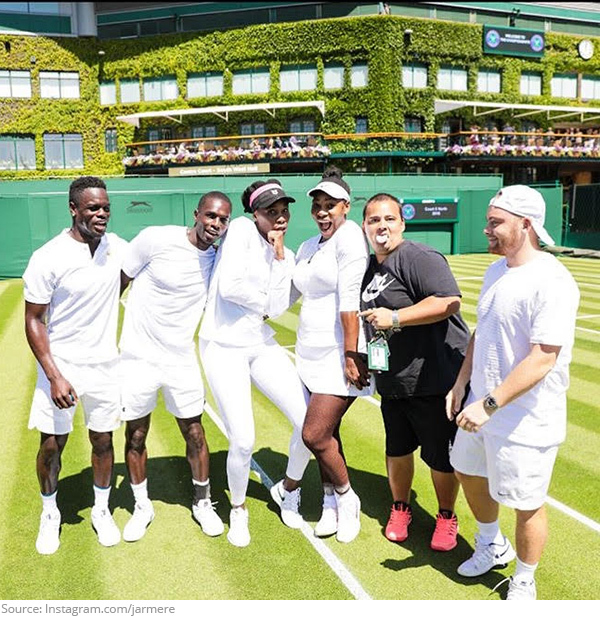 Venus and Serena look like they are ready to battle, both on the court and in dance! 9. "Tell my wife not to wait up, I might be here awhile! "- Novak Djokovic probably. 10. Tell me how to get to Federer street! 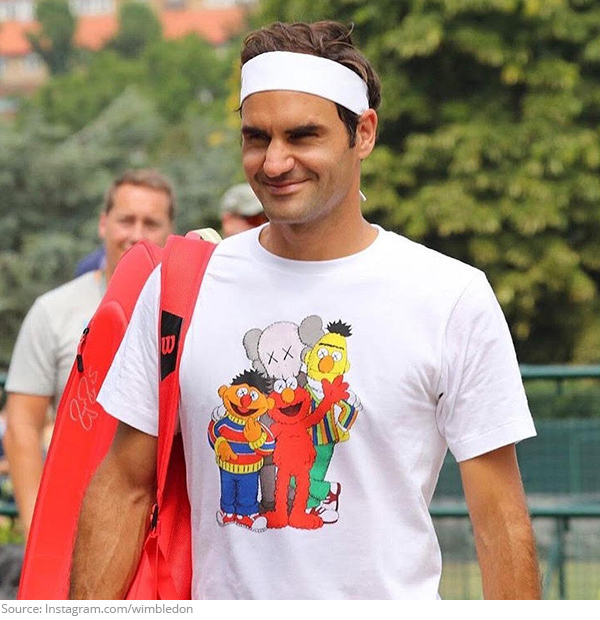 Roger wasn't kidding around this week when he made the switch from Nike to UNIQLO.